File - Chelsea Clinton speaks at the Clinton Global Initiative' closing session on September 29, 2015 in New York City. Clinton announced this week that she's written a children's book entitled, "She Persisted." 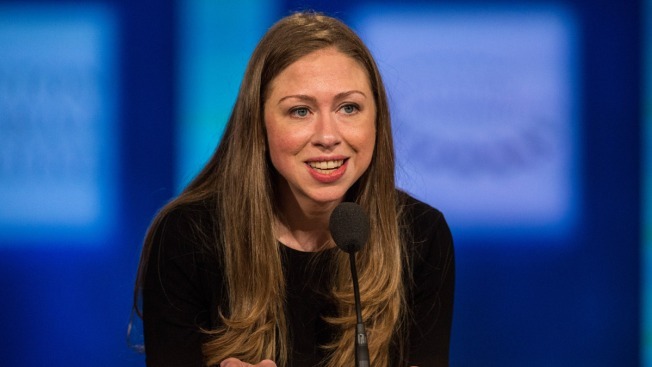 Chelsea Clinton has written a children's book, with a sharply worded title. "I wrote this book for everyone who's ever wanted to speak up but has been told to quiet down — for everyone who's ever been made to feel less than," Chelsea Clinton said in a statement. "The 13 women in 'She Persisted' all overcame adversity to help shape our country — sometimes through speaking out, sometimes by staying seated, sometimes by captivating an audience. With this book, I want to send a message to young readers around the country — and the world — that persistence is power." "Sen. Warren was giving a lengthy speech," McConnell later explained. "She had appeared to violate the rule. She was warned. She was given an explanation. Nevertheless, she persisted." Chelsea Clinton has had a busy publishing career recently. In 2015, she released a book for young people about civic activism, "It's Your World." She and Devi Sridhar collaborated on a scholarly work, "Governing Global Health: Who Runs the World and Why?" which came out last month.